It’s official…it’s springtime! Which means it is time to start preparing our outdoor leisure areas for a satisfying season of sun and fun. For those of us with sundecks or balconies, that means spring deck maintenance time and crossing our fingers hoping we don’t hear that ugly 4-letter word – “LEAK”. The first priority….finding out how hard winter actually was on our decks and balconies. The single most influential factor in reducing high maintenance costs is to be sure the waterproofing is intact and the building envelope is still protected to avoid unexpected water infiltration and resulting damage. Whether you have a small balcony or expansive roof deck, significant and costly repairs due to leaks and water intrusion can often be avoided with simple annual maintenance and inspections. It is important to check all deck perimeter details are securely in place and repair if needed. Inspect for ice or wind damage: gutters that have pulled away from the building, separation of the gutter seams, etc. Fix or replace as needed. Check flashing where the deck and the house meet and along the deck perimeter to ensure it is still securely in place without any damage or deterioration and fix as needed. Check doorways and other entryways to ensure all sealing or caulking is still in place. Check any caulk at perimeters or posts and re-caulk where it is missing or worn away. Look for loose or cracked trim, signs of decay or insect damage. Check the deck slope. Over time, the main building or the deck structure may settle, shrink or shift causing cracks or points of vulnerability. Be sure the deck slopes away from the building to avoid pooling water adjacent to the building or entryways. Check the stability of the wood in several different areas where applicable, including deck boards, stairs, support posts, and joists under the deck and ledger board (where the deck attaches to the house). Look for small holes in the wood that may indicate insect damage is present. When checking wood, pay special attention to areas that tend to remain damp, are regularly exposed to water or are in contact with fasteners. If you are uncertain of the condition of the wood, use a tool like an ice pick or screwdriver to attempt to penetrate the wood surface. If you can break off a sliver of wood without splinters, easily penetrate to ¼- ½ inch or find that the wood is soft or spongy, decay may be present. Check exterior outlets and faucets for cracks or leaks and repair as needed. Inspect any vents for openings to prevent rodent intrusion. Check curbs or retaining walls for shifting or damage. Inspect all railings for rot, loose bolts or caulking and fix as needed. 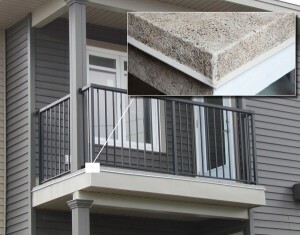 Railing maintenance can be significantly reduced by choosing aluminum over wood. Be sure to inspect around posts, a common source of water infiltration that can lead to rot. Of course, general stability of the deck structure and a protected building envelope are the most important concerns. 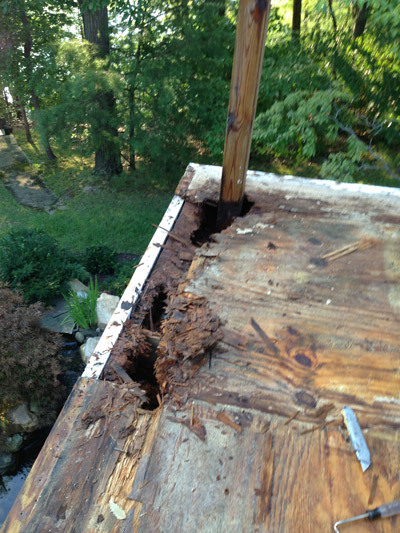 If during your deck inspection you have noticed any structural issues or suspect there may be water damage, you will be best served by contacting a professional to assess the situation. It is to your advantage to gain the peace of mind that your home is protected and your family is safe, happy and will continue to enjoy your outdoor leisure space. It is critical that you properly waterproof to protect the building from eventually being compromised by water damage. 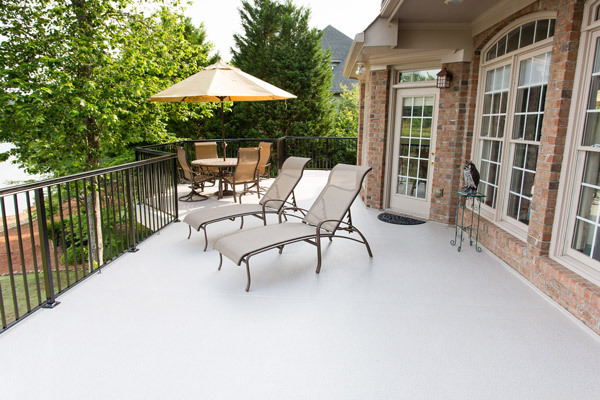 (See more about maintenance and waterproofing on our next post, “Spring Deck Maintenance Checklist – Part 2: Cleaning & Waterproofing“). Inspect your deck in the spring so you can have a leisurely, worry-free summer. 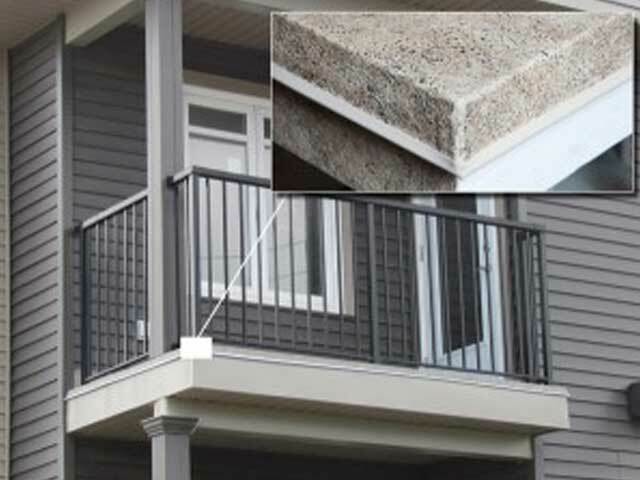 For over 40 years, Duradek PVC membranes and installation techniques have provided reliable waterproof protection to protect the integrity of the deck and building envelope. Duradek is a CAN/CGSB and ICC approved pedestrian traffic roofing membrane and is installed only by trained professionals for warrantied waterproof protection. If you want to learn more about the advantages of Duradek™ vinyl membranes and Durarail™ aluminum railings, talk to a trained and authorized Duradek installer for a free estimate.